So many readers are super excited for Queen of Air and Darkness to hit book stores on December 4 and we are now less than four months away from the release of Cassandra Clare’s final The Dark Artifices book! Forbidden love between parabatai is one of the central themes in Cassie’s third series, some may argue it is the central theme, and the parabatai curse has been driving readers crazy since the ending of Lady Midnight. This past weekend Cassie took to her tumblr to share a new snippet, which is about the seemingly evil parabatai bond. I really want to know what exactly the Queen told Emma. What do you guys think? Sound off in the comments below! 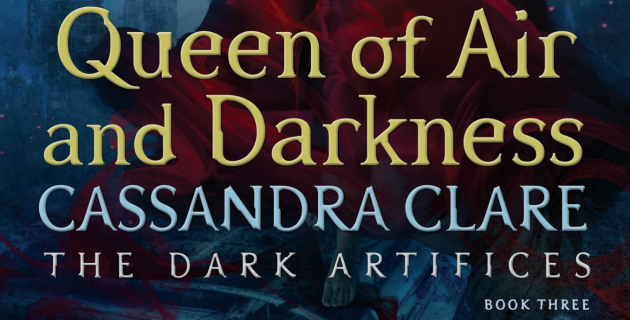 Queen of Air and Darkness is published on December 4! Make sure to pre-order your copy now – there is going to be another pre-order campaign – or buy the book on its release date to get an exclusive first edition with ten illustrations, a poster and a short story.